TrackMaven recently released their 2017 Facebook Advertising Index: Budgets and Benchmarks where the company found that boosted posts are more effective than dark posts. They also found that the average spend per dark post was higher than a boosted post. This type of post is beneficial because it can be somewhat targeted, and it will not appear on the newsfeeds of irrelevant users. Facebook Boosted posts are those from your business page that can appear on the newsfeeds of your audience for a fee. That fee is based upon how many people you want the post to be seen by (or the number of “impressions”). The study found that the average spend for dark posts was hovering around $750,000 while the average spend on boosted posts were anywhere from $300,000 to $400,00. 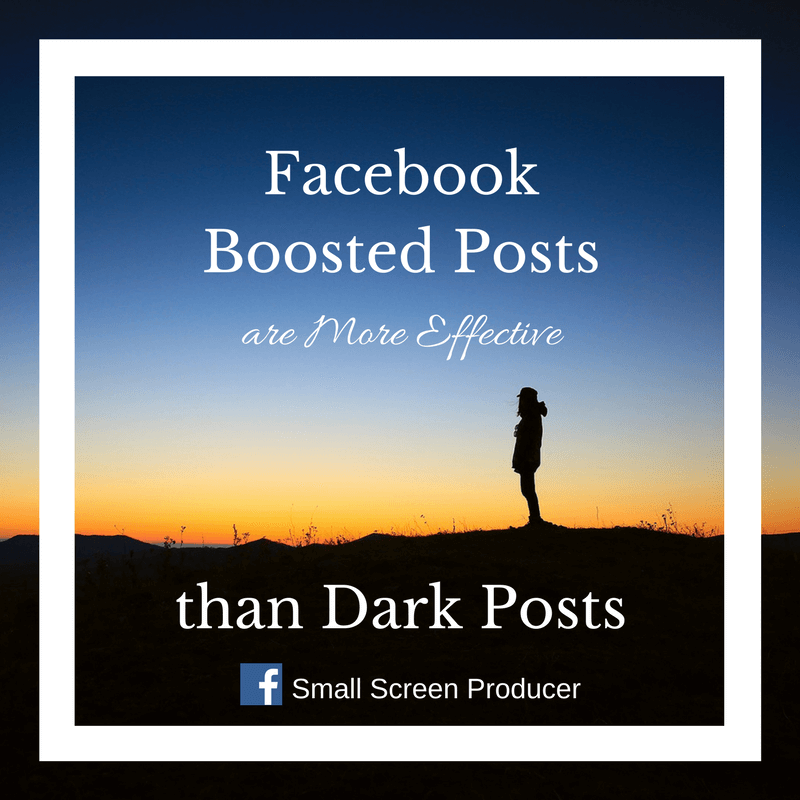 It was also found that boosted posts are more shareable and that they were promoted for a shorter period of time than dark posts. But that does not mean that dark posts do not have their place. For example, dark posts are better for long term use. They also receive more “likes” than boosted posts, partially because they run for an average of 42 days in comparison to 27 days for boosted posts. Dark posts, boosted posts, sponsored ads… your advertising options nowadays can be overwhelming and not all of them may be right for your business. Small Screen Producer is an experienced digital media marketing firm that can help with every aspect of your online marketing campaign. Start creating the most effective strategy for your business and call us today at (281) 569-4370.